With the progress and development of technology, computer has become a more and more dangerous space where personal safety is no longer perfectly guaranteed because of the external malicious attacks through virus e-mails, documents, software, etc. Some software downloaded and installed from the Internet could be the malware that may affect use’s Mac, even the server, however, Gatekeeper can help Mac user against the attack from such software. Macgo Mac Blu-ray Player, as an secure media player for Blu-ray fans, now is compatible with Gatekeeper 10.9.5 and Yosemite 10.10, which allows Macgo to offer better service for Mac users as an identified creditworthy software developer. Gatekeeper is a new feature in Mountain Lion and OS X Lion v10.7.5 that builds on OS X’s existing malware checks to protect user’s Mac from any widespread malicious software downloaded from the Internet. It controls over whatever software or App that users install on their Mac. Gatekeeper options can be found in Apple menu > System Preferences… > Security & Privacy > General tab > Allow applications downloaded from. There are all together three options as follows. Mac App Store – Only allow apps that came from the Mac App Store can open. Mac App Store is the safest and most reliable place to download and install applications. These applications are reviewed and detected by Apple to see whether it’s safe or not before it’s accepted by the store. If the app is unqualified, Apple will remove it from the store. 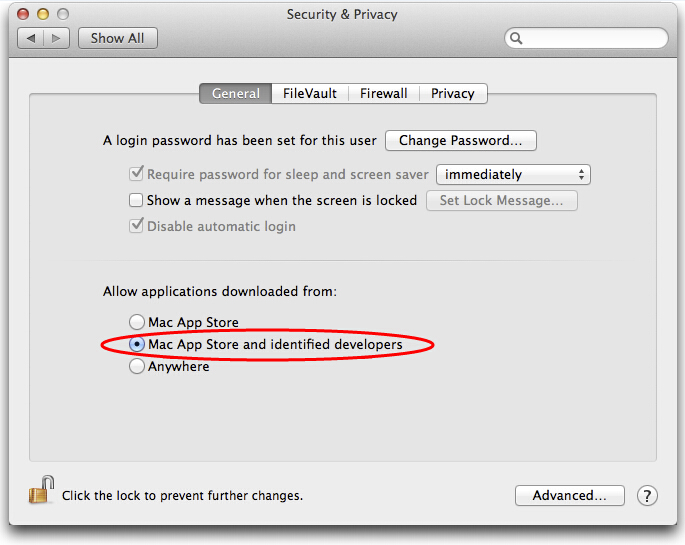 Mac App Store and identified developers – Only allow apps that came from the Mac App Store and developers using Gatekeeper can open. For applications from developers other than Apple Store, developers can get a unique Developer ID from Apple and use it to digitally sign their applications. These applications are not reviewed by Apple, but if malicious activity is detected, Apple can revoke this developer’s ID and block any applications from it in the future. Anywhere – Allow any apps to open regardless of their sources, which will make user’s Mac less safe. Macgo Mac Blu-ray Player users can choose the second option on Mac for that Macgo is a trustworthy identified developer. Macgo is making efforts for being accepted by Apple Store. Now the latest version of Mac Blu-ray Player V2.10.6 also fixed some problems based on user feedback. Macgo Blu-ray Player is available now at $39.95. Yesterday I bought Macgo Mac Blu-ray player directly on your website and installed it on my Mac running Yosemite 10.10.1. The option “Mac App Store and identified delevopers” didn’t work out to get it properly installed. I had to fully open to “Anywhere”. Please help to update Mac Blu-ray Player to the latest version. We have made this software Compatible with Gatekeeper 10.9.5 and Yosemite 10.10 since version 2.10.7. Gatekeeper options can be found in “Apple menu > System Preferences > Security & Privacy > General tab > Allow applications downloaded from”. Macgo Mac Blu-ray Player users can choose the second option “Mac App Store and identified developers” for that Macgo is a trustworthy identified developer.